After many months of political ads, debates, and discussion, the midterm elections have now come and gone. LDA is a non-partisan, nonprofit organization. However, the political landscape can have a significant impact on the group’s advocacy on behalf of its members. Legislators across the political spectrum may champion issues of concern to LDA and help move the organization’s agenda forward. So what changes occurred in the elections that may impact LDA’s efforts? Before discussing the direct impact of the election on LDA, here are a few brief “civics” reminders. The 115th Congress (member of Congress before the election) will continue to meet in a “lame duck” session until the end of 2018. The first session of the 116th Congress begins on January 4, 2019, when the newly elected members will be sworn in, get their committee assignments, and take their seats. Committee chairmen in each chamber are members of the majority party. The Senate majority remains the same in the new Congress. However, since the majority in the House will shift from Republican to the Democrat, all current House committee chairmen (Republican members) will be replaced by Democratic members. Republican members will assume the Ranking Member committee positions (the most senior minority committee members). In addition, Democrats will have more seats than Republicans on each House committee. The majority party also sets the agenda for what bills will be considered in each committee and what ultimately comes to a vote on the House floor. Several significant “personnel” changes may affect the issues in the forefront of LDA’s advocacy efforts. The new chairman of the House Committee on Education and the Workforce – likely to be renamed Education and Labor – will be Representative Bobby Scott (D-VA). Mr. Scott has a long history as an outspoken civil rights advocate, including for persons with disabilities. 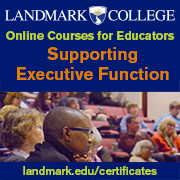 He and his staff have been careful to consider the impact of proposed education and job training legislation on individuals with disabilities, and this may be reflected early in the new Congress with the upcoming reauthorization of the Higher Education Act. The Education committee also has oversight authority for the programs directed by the U.S. Department of Education. For example, the committee may take a closer look at how states are implementing the Every Student Succeeds Act, especially in regard to the achievement disparities for subgroups, including students with disabilities. Another critically important committee and subcommittee are the House Appropriations Committee that funds all federal programs and the Appropriations Subcommittee on Labor-Health and Human Services-Education. The chairmen most likely will be Representatives Nita Lowey (D-NY) and Rosa DeLauro (D-CT) respectively. Both women are seasoned members of Congress, who have consistently supported increased investment in LDA priority programs, including the Individuals with Disabilities Education Act, the Vocational Rehabilitation Act, and other health, education, and job training programs that impact the daily lives of people with learning disabilities. It is also likely the chairwomen will call for loosening the extremely tight budget caps to ensure programs are adequately and appropriately funded. The EPA’s proposal to roll back vehicle emissions and fuel efficiency standards will allow toxic chemicals into the air that harm children’s developing brains, putting them at higher risk for learning and behavior challenges. The proposed rule will substantially increase vehicle greenhouse gas emissions. Join LDA in telling the EPA to uphold strong clean car standards and protect children’s health by signing the petition today (http://bit.ly/EPAProtectOurAir). 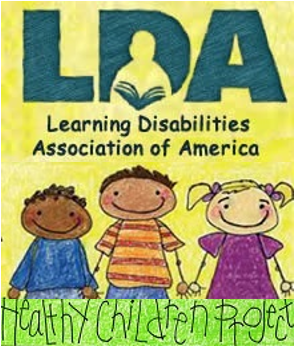 LDA’s Healthy Children Project works to raise awareness of environmental factors, particularly toxic chemicals, that can harm brain development, contributing to learning disabilities and behavior disorders. The Project also promotes policies and practices to prevent toxic chemical exposures, especially among pregnant women and children. Most important, HCP is building a nationwide network of LDA members working to protect children’s health and reduce toxic exposures that may lead to learning disabilities in current and future generations. Look for updates in future issues of LDA Legislative News. First introduced in 2011 by former Senator Tom Harkin and former Representative George Miller, the Keeping All Students Safe Act (KASSA) has now been reintroduced by Representatives Don Beyer (D-VA) and Bobby Scott (D-VA) and Senator Chris Murphy (D-CT). The bill focuses on the disproportionate use of seclusion and restraint on children with disabilities and children of color. 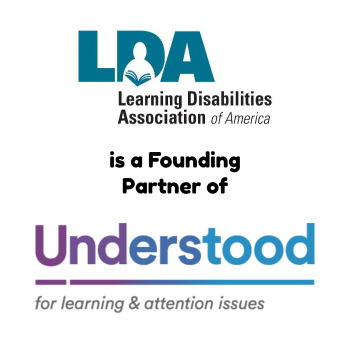 LDA is on record with our partners in the Consortium for Citizens with Disabilities in support of this legislation over the years since its original introduction. Recently the highly respected education trade newspaper Education Week analyzed data on seclusion and restraint that revealed more than 70,000 students with disabilities were subjected to these practices in one school year. While many states have already enacted laws prohibiting or limiting these practices, 11 states still have no policies in this area, including no requirement that parents are notified if their child is restrained or secluded at school. Under KASSA, any school receiving federal funds would be barred from secluding students. Schools would also be prohibited from physically restraining students, unless doing so is necessary to protect the student or staff. The bill also addresses better training for staff in how to address challenging behaviors using evidence-based practices. If a child is restrained, parental notification and follow-up meetings are required under the legislation. Within two years of enacting the law, states would have to establish their own policies, procedures, monitoring, and enforcement systems. States could apply for competitive grants to assist with developing and implementing these policies and procedures. In addition, states would be required annually to collect and report data on the use of seclusion and restraint. The Senate bill is S. 3626, and the House bill is H.R. 7124. LDA will be closely following and keeping our members informed of the progress of this legislation. The National Council on Disability (NCD) has issued a new report examining implications for students with disabilities in charter schools. Charter schools are non-traditional public schools, some of which are freestanding school districts and others part of larger traditional school districts. Schools’ charters usually provide greater flexibility in meeting state and local education requirements, especially related to budgeting, governance, and personnel. NCD is an independent federal agency that advises the president, Congress, and other federal agencies on policies, programs, and practices affecting people with disabilities. The agency was established in 1978 through an amendment to Rehabilitation Act of 1973. NCD recommended enactment of the Americans with Disabilities Act and drafted the first version introduced in Congress in 1988. From 2013 to 2014, nearly 11 percent of students in charter schools were students with disabilities. As public schools, charters must follow the requirements of the Individuals with Disabilities Education Act (IDEA), Section 504, and the Americans with Disabilities Act (ADA), as well as any state special education laws and regulations. Charter Schools—Implications for Students with Disabilities examines the landscape for students with disabilities in public charters. The report notes that, while some charter schools welcome and provide innovative approaches to working with students with disabilities, other charters have been challenged to provide appropriate special education and specialized instructional support (related) services. The NCD report provides recommendations for education decision makers and legislators at the local, state, and federal levels. Enrollment: Charter school enrollment of students with disabilities is growing, although students with more significant disabilities have much lower enrollment rates. Parents may find the enrollment process confusing, lacking adequate information and struggling over whether to disclose their child’s disability. Special education services: Charter schools may experience challenges in providing appropriate services due to limited knowledge of requirements, limited funding, and tensions between the school’s philosophy and special education requirements. On the other hand, some schools have adopted practices focused on more diverse learning needs, such as universal design for learning, and provide co-teaching and other staff models and training to meet the needs of students with disabilities. Special types of charters: Some charters operate as disability-specific schools and provide more intensive instruction and lower class sizes. However, this may raise the concern that these schools don’t meet the presumption in favor of education in the general education classroom. Virtual charters have also emerged that hold some appeal for students with disabilities, although the materials and websites are not always accessible. Other concerns focus on the appropriate delivery of specialized instructional support services, as well as how these programs are monitored and held accountable for student progress. Implications for students with disabilities remaining in traditional public schools: The report notes funding can impact on class size, resources, and personnel issues in traditional public schools. Students moving in and out of charter schools, when funding has already been given to the charter, can also pose a major problem for the traditional school. Some states have addressed the negative fiscal impacts of charters on traditional schools by limiting the number of charter schools allowed to operate. Fiscal equity issues also are an issue, as data suggest some charters enroll more white students with disabilities than children of color. NCD has also issued a second report – Choice and Vouchers—Implications for Students with Disabilities. LDA has stated its position that public funds should be used only for public education, while acknowledging parents’ prerogative to enroll their children in the schools of their choice. Parents are often unaware that private schools do not have to meet the same federal protections under the IDEA and non-discrimination statutes (Section 504 and the ADA) required of traditional public schools and public charter schools. This report also contains a series of recommendations for policymakers. To read the full reports, see the links below.